If you are hoping to transfer your DVDs to a digital format, you could do much worse than CloneDVD. This app will allow you to both copy (rip) and write (burn) your movies to your computer or disk. CloneDVD offers you three options - copy DVD, clone DVD or write data to disk. The process is pretty easy - you choose the DVD, pick a few basic preferences (quality to compression ratio, subtitles, audio) and specify if you want the output as DVD file, ISO image or directly written to disk. You press Go! and your CloneDVD gets working on the job. The configuration options presented by CloneDVD are pretty basic. If you are simply backing up your movies, they should be fine, but if you want a little more control, you should probably look elsewhere. Other than that, Clone DVD is fast and efficient, and an excellent option. 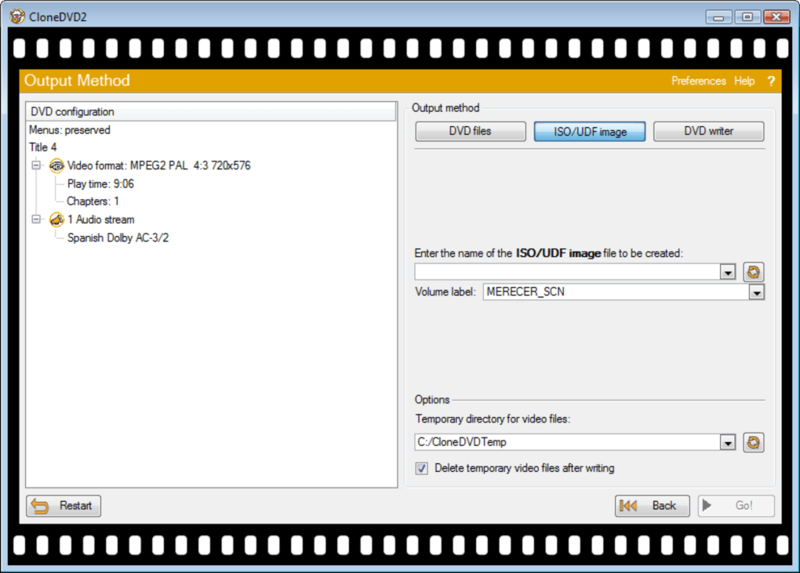 CloneDVD is a solid tool for backing up and cloning your DVD movies. Good stuff. I had some problems with the installation but now it works just fine. It's not diffucult to use. Pros: it doesn't take an expert to copy DVDs.